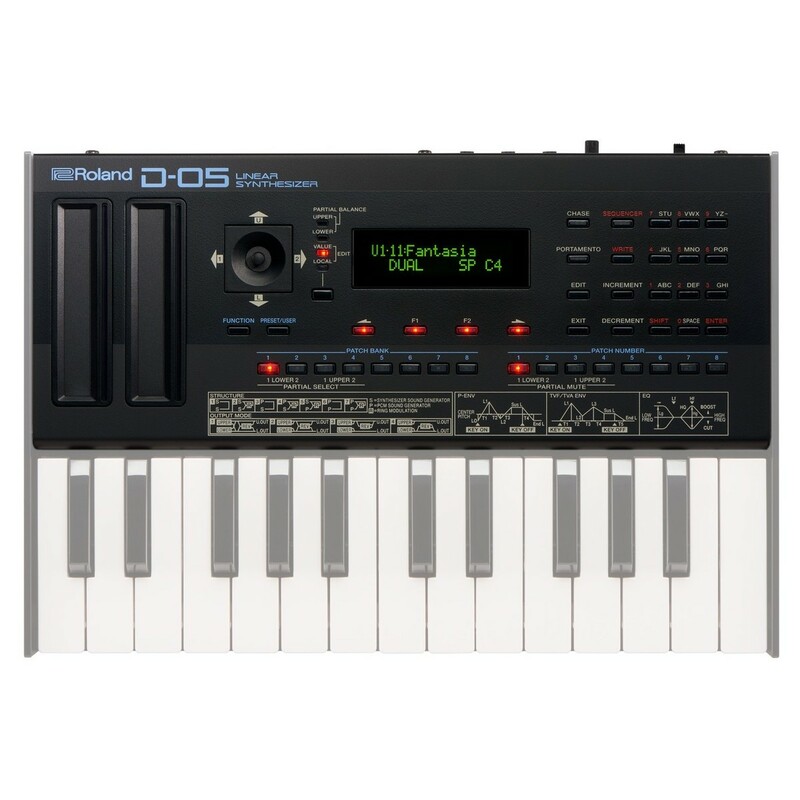 The Roland D-05 Linear Synthesizer utilises the Digital Circuit Behaviour (DCB) technology to capture the original’s sound and essence in immense detail. 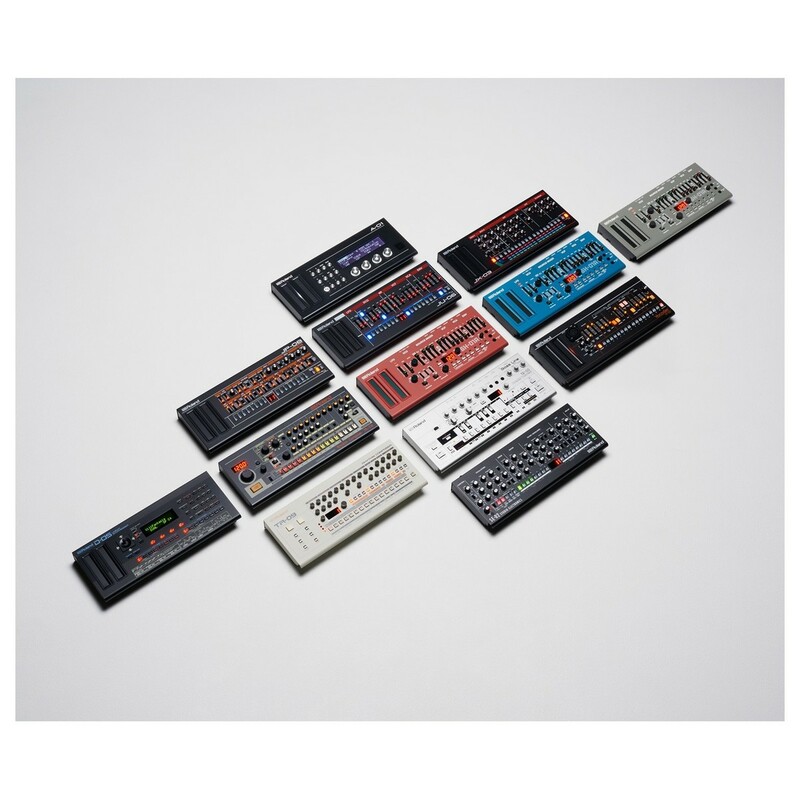 The technology allows the sound and design to get as close the original sound as possible while retaining the warmth and grit associated with classic synthesizer. The original D-50 Synthesizer was a staple in the music world during the late 1980s, helping to define the sound of RnB and other genres within that era. 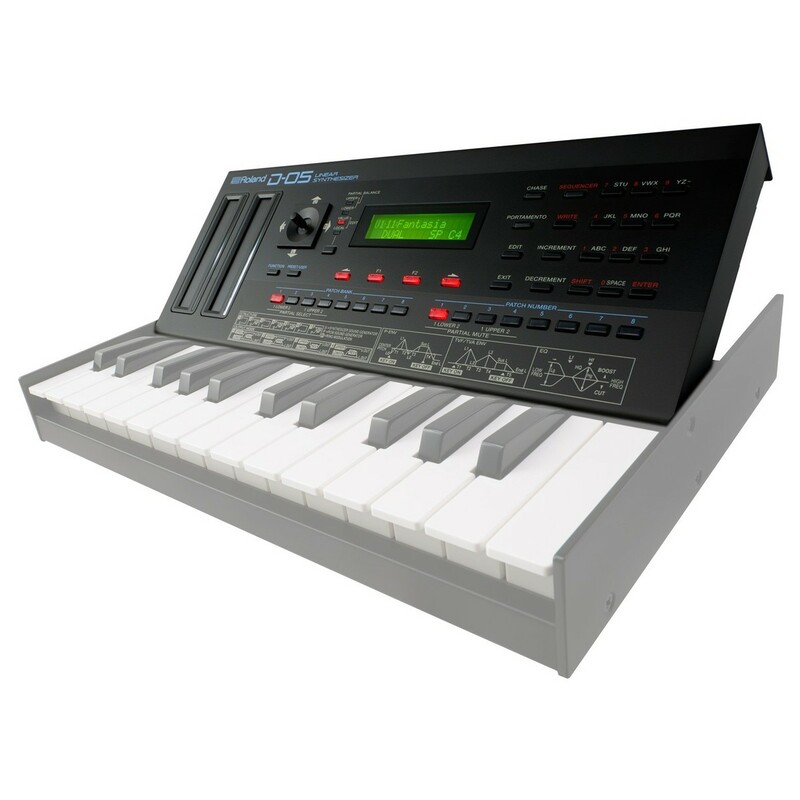 The combination of DCB technology and the same samples used in the original, results in a faithful recreation of a once classic synthesizer. The original tone and sounds have been painstakingly recreated using the DCB technology as well as pairing the exact same PCM attack and loop samples, that were paramount to the D-50’s sound. As well as incorporating the same samples and sounds from the original, the D-05 also incorporates the same integrated FX to enhance your tonal characteristics. This faithful recreation includes the same built-in chorus, reverb/delay and EQ effects, providing a studio-grade polish to your sounds, allowing you to add your own nuances to the way your sounds react. 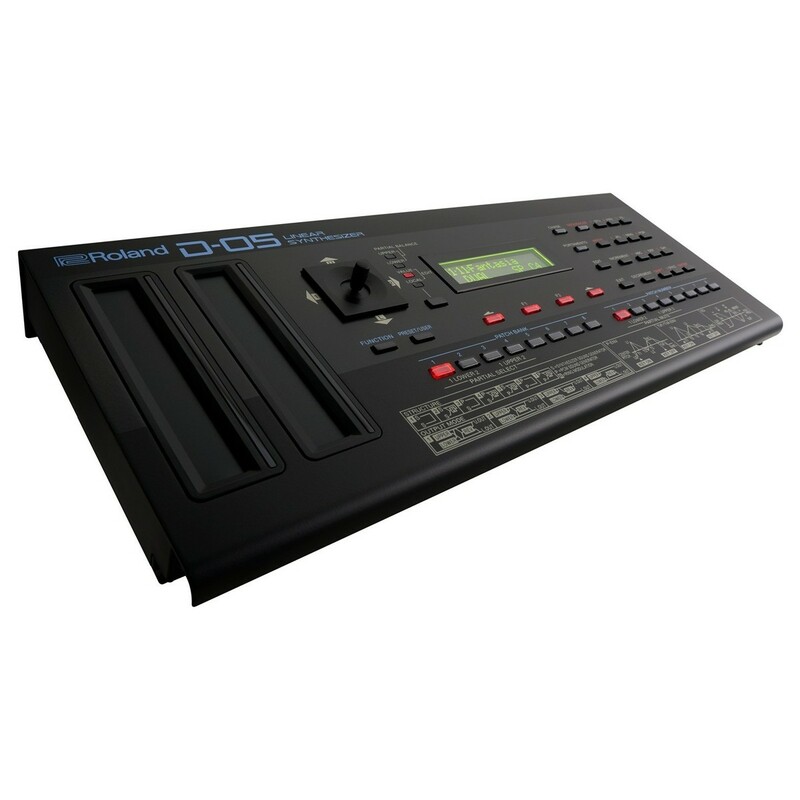 The on-board digital effects can be used for everything from adding subtle reverbs to percussive sounds for a more atmospheric tone; to removing problematic frequencies from a sound using the built-in EQ. 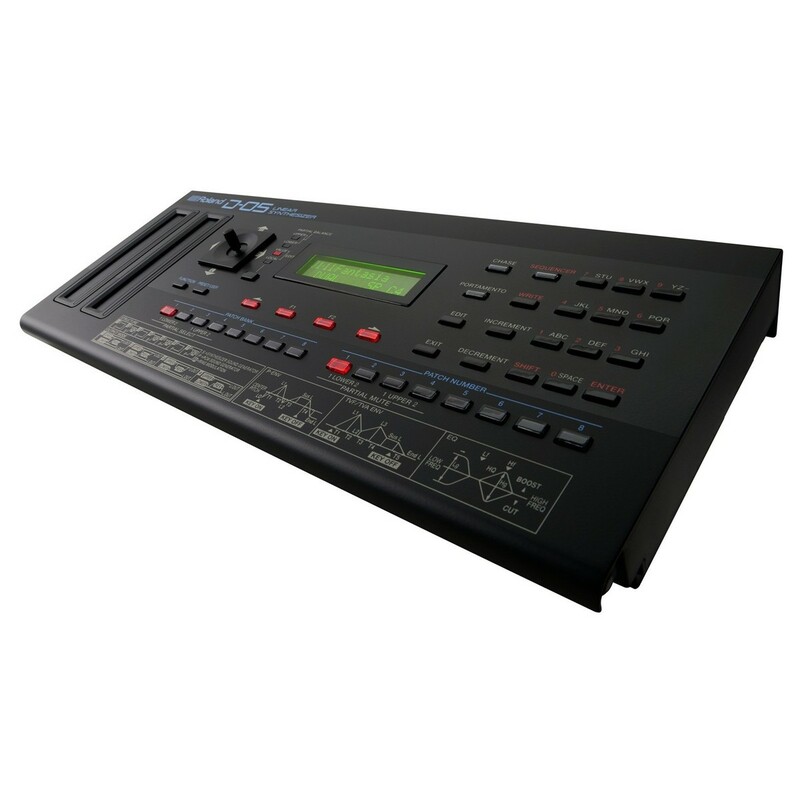 One of the most prominent new additions to the design is the integrated 64-step polyphonic onboard sequencer and arpeggiator. 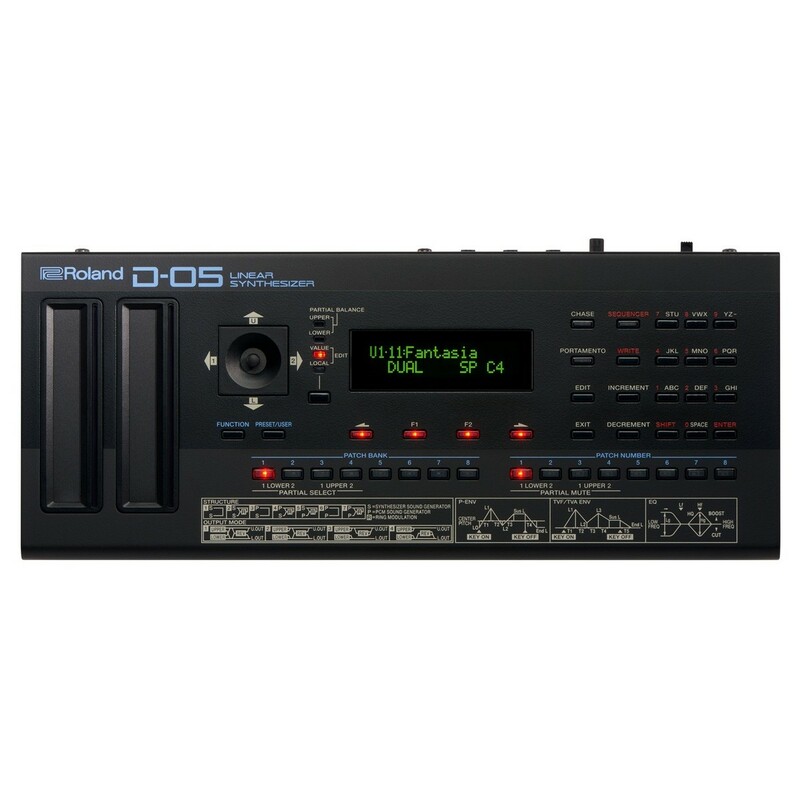 The addition of the step-sequencer makes the D-05 ideal for rhythms and patterns on the fly, making it perfect for live performances. One of the most unique features of the sequencer it its ability to store tempo and patch changes, as well as giving you the ability to sequence shuffle and gate timing. The arpeggiator is ideal for adding a sense of movement to your patches, allowing you to bring out a new layer from a sound for added versatility. The highly compact design of the D-05 makes it ideal for musicians on the move, allowing you to create sounds and sequences on the fly. 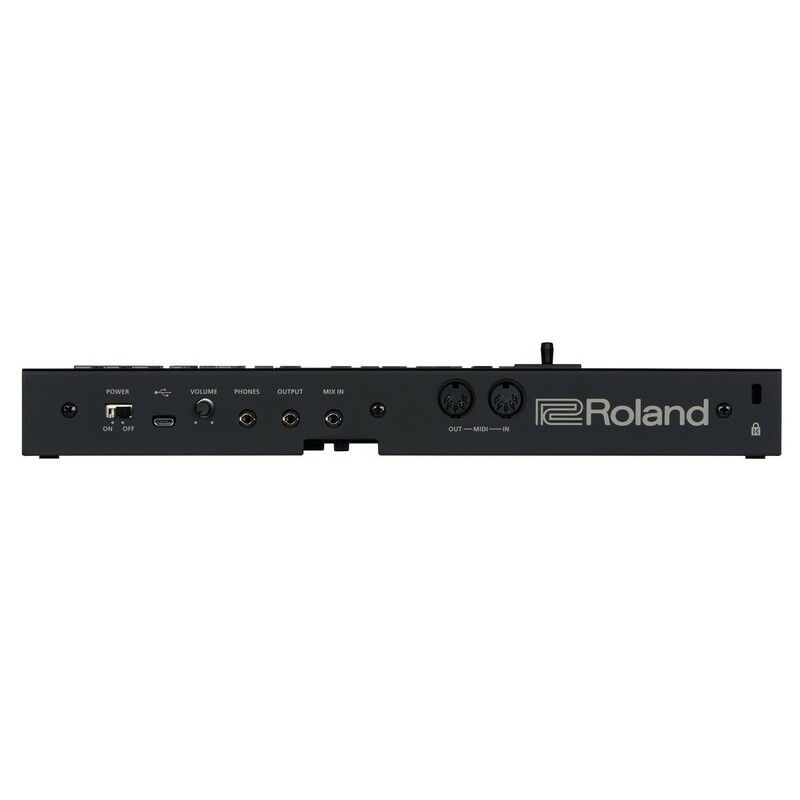 The Roland D-05 boasts a rugged enclosure that can withstand the rigors of extensive use. The intuitive interface features joystick control for navigating between parameters, as well as controlling different modes and settings. Its highly portable design also runs on either batteries or via USB power, eliminating the need for an external power source. 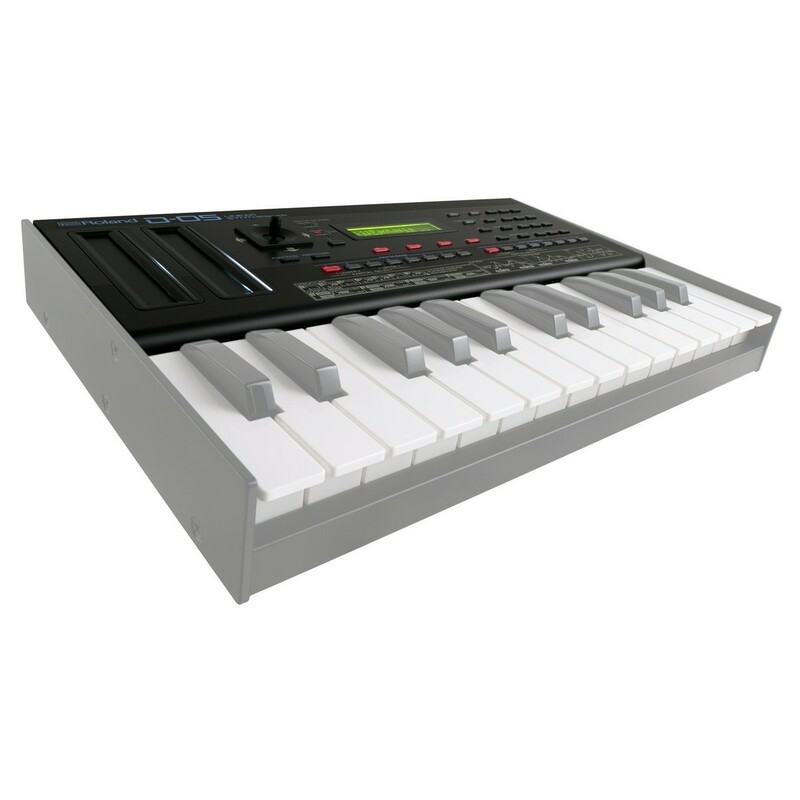 Additionally, the synthesizer features an integrated, powered mini-speaker, meaning you don’t need an external audio source to play your synth while on the move.